Apple’s recently released Pad mini 3 may be its last, if a new rumour turns out to be true. Chinese news outlet UDN (via Phone Arena) reports that Apple will stop making new iPad mini models once it releases its rumoured 12-inch iPad. It’s possible that Apple will focus on its 5.5-inch iPhone 6 Plus and a larger 12-inch iPad rather than its 7.9-inch iPad mini. The report, roughly translated from Chinese, seems to cite sources in Apple’s Asian supply chain. However, it’s important to remain sceptical on this rumour. UDN doesn’t provide any background regarding the source of its information. And, although iPad sales fell below what analysts were predicting for Q3 2014, the iPad mini is still incredibly popular. 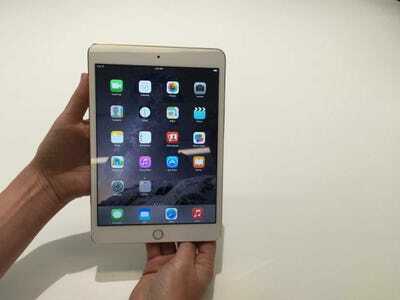 Apple is expected to add a new screen size to the iPad family next year. The device will likely have a 12.9-inch screen as Bloomberg reported in August, and it’s rumoured to launch in the second quarter of 2015.